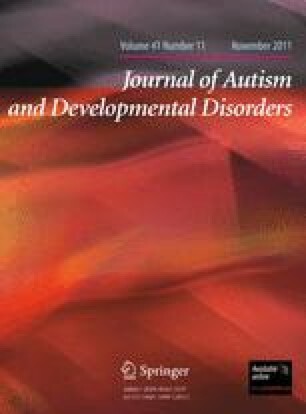 This study assessed the efficacy of FaceSay, a computer-based social skills training program for children with Autism Spectrum Disorders (ASD). This randomized controlled study (N = 49) indicates that providing children with low-functioning autism (LFA) and high functioning autism (HFA) opportunities to practice attending to eye gaze, discriminating facial expressions and recognizing faces and emotions in FaceSay’s structured environment with interactive, realistic avatar assistants improved their social skills abilities. The children with LFA demonstrated improvements in two areas of the intervention: emotion recognition and social interactions. The children with HFA demonstrated improvements in all three areas: facial recognition, emotion recognition, and social interactions. These findings, particularly the measured improvements to social interactions in a natural environment, are encouraging. This study was funded in part by a grant from Civitan International. The author thanks the Autism Lab at UAB, Dr. Franklin R. Amthor as well as Casey Wimsatt, Symbionica, LLC. This paper is adapted from the author’s dissertation.